With maximum download rates up to 300 Mbit/s! Wentorf/Hamburg, 2. October 2017: bobz GmbH has announced today their next shipznet generation with 4G and a maximum download rate up to 300 Mbit/s. bobz GmbH is manufacturer of the well established shipznet high speed mobile network service „made in Germany“ for merchant shipping. If shipping companies are annoyed by their VSAT out of order, with the right solution they can solve their problems easily! For shipping companies which are annoyed by high investments for satellite communications or those they are upset about complicated installations with priced service attendances,bobz GmbH offers a world-wide, midsize or Europe monthly flat rate near-shore or in harbors, without any additional roaming costs. 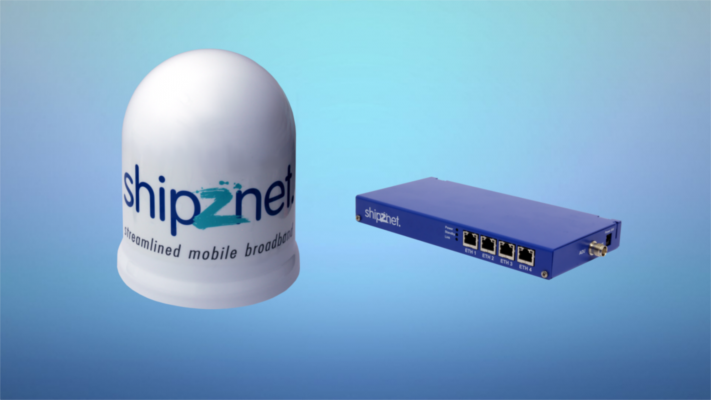 shipznet offers high-speed data transmission based on the latest mobile communication technology such as LTE-A, HSPA+/EdGE and GSM. With a maximum download rates up to 300 Mbit/s. By using shipznet technology, shipping companies can benefit from large data volumes whilst gaining tremendous cost savings with favorable tariffs. “The new shipznet generation gives our customers an innovative technology and speed, high tempo is our prime mover. A few simple steps are all that it takes to setup shipznet, a product 100% made in Germany. We are very proud of this next shipznet generation”, says Claudia Bobzin, Managing Director of bobz GmbH. Data-heavy applications such as software updates, ECDIS, remote management and crew communication or even video conferencing can used over a near-shore connection. This saves time and budget. Shipping companies must select shipznet to secure their existing communication system in case of blockage, failure or enforced restrictions. However, shipznet is also an ideal stand alone solution. Especially the feature „crew solution“ makes shipznet interesting for shipping companies since offering the crew a better and less expensive way of communication. To be online is becoming increasingly important for on-board management, communication and entertainment. shipznet provides a comfortable and new web portal for easily controlling and administering changes to land and vessel settings and retrieving connection information or contract options.